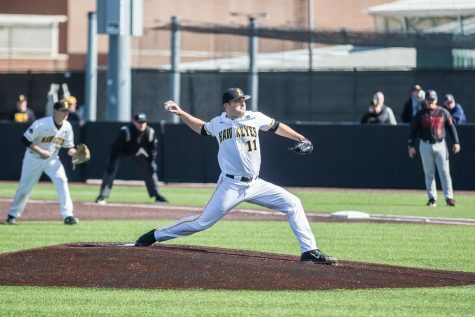 With a 0.56 ERA and two scoreless outings this season, Grant Judkins has been a force as the Hawkeyes’ Sunday starter. 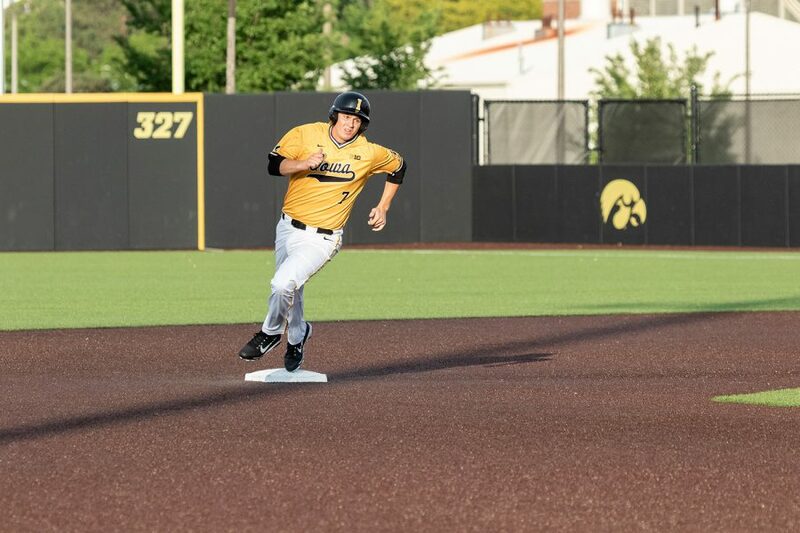 University of Iowa baseball player Grant Judkins rounds second base during a game against Penn State University on Saturday, May 19, 2018. 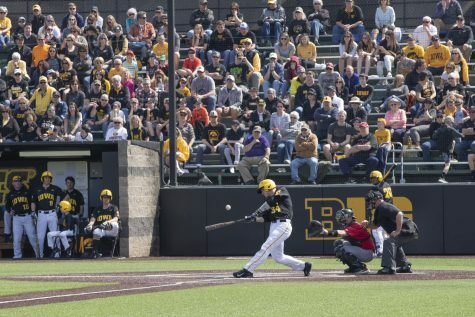 The Hawkeyes defeated the Nittany Lions 8-4. 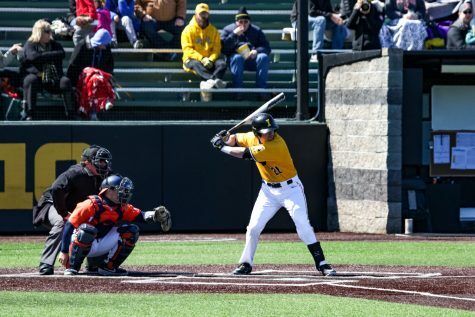 In his first game of the 2019 season, Hawkeye pitcher Grant Judkins held Marshall hitless. The junior pitched six innings, walking just three and kicking off the season emphatically with 11 strikeouts. 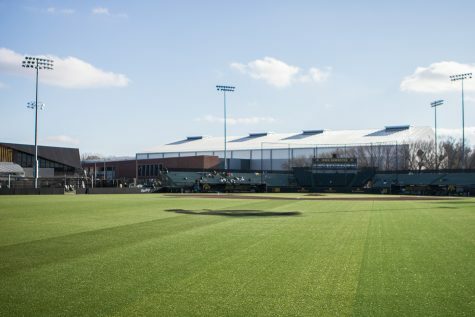 “I didn’t want to take him out with a no-hitter … [But] the last thing you want to do is have someone get hurt in the first weekend,” head coach Rick Heller said. 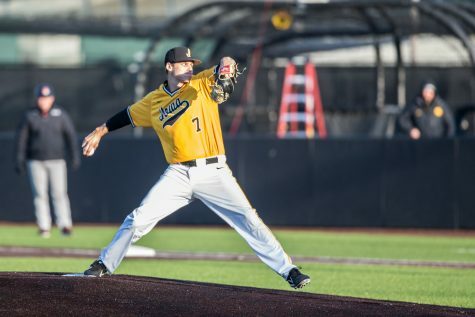 His performance against the Thundering Herd acted as a springboard, and Judkins’ hot streak on the mound continued — something that didn’t come as expected. 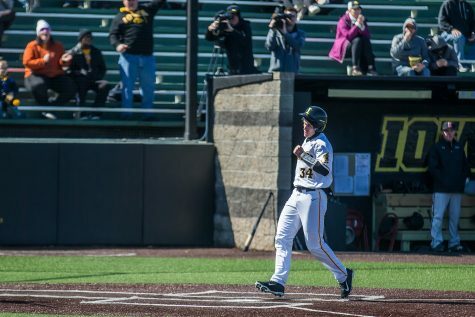 So far this season, Judkins has a 0.56 ERA — the best mark among the Hawkeye starters by far. Judkins also leads the team with 20 K’s. In his next appearance, Judkins allowed 3 hits in 5 innings against Hawaii, giving up his lone run of the season so far. He also struck out three batters. 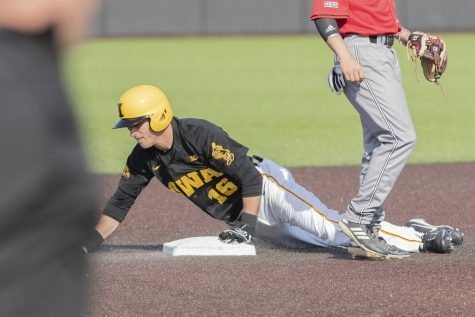 The next weekend series, though, was even better, both for Judkins and the Hawkeyes as a whole. 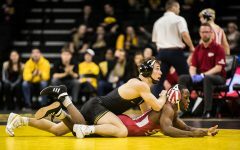 Iowa bested No. 19 Oklahoma State in a three-game series, but Judkins’ series finale on March 2 kept an explosive Cowboy offense at bay. 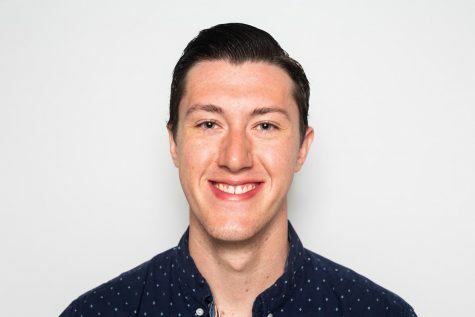 “I think my ability to mix pitches, keeping [batters] off balance, keep them guessing was the thing working most for me,” he said. Judkins pitched 5 innings, allowing just 3 hits and holding Oklahoma State scoreless — his second scoreless outing in three attempts. Judkins said that this offseason, he has spent time focusing on adding a cutter to his arsenal. 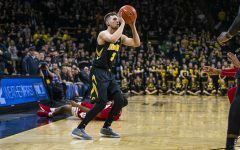 Both Heller and Judkins’ teammates have noticed. 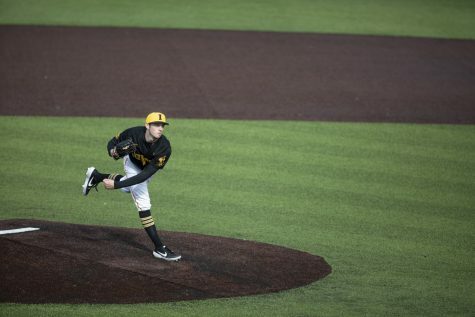 Friday-night starter Cole McDonald pointed to Judkins’ cutter specifically as one of the reasons he’s started 2019 on a roll. 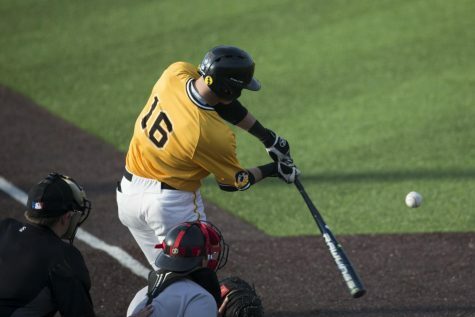 Judkins’ hot start may have surprised him, but Heller said he expected it. 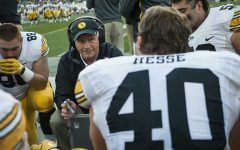 One of his goals for the Pella native this offseason was to work on his command. 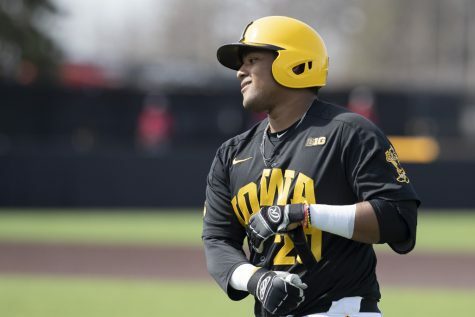 Judkins has walked 11 batters, the most on the Iowa team. Still, that Judkins has been able to keep batters guessing while still a work in progress bodes well.